Tanzania Development Support's mission is to improve the quality of life of youth, especially girls, in the Mara region by supporting primary and secondary school improvements and other community-identified priorities. We partner with indigenous organizations in Mara, and other supporting organizations, to achieve our objectives. Donations by check or cash should be addressed to Tanzania Development Support and sent to 201 Thornbrook Road, DeKalb, Illinois 60115, USA. If you prefer to process an online donation through PayPal, please visit paypal.me/tdsnfp. Does your employer match charitable contributions? We're happy to provide any documentation needed to help your contribution go even further. Kurt and Jeannine, you and this organization continue to do needed and important work. In honor of my friend Kurt and his family, who have given me so much for so many years: including inviting me to travel to Tanzania in 2009! $10 per year for 10 years! It is through my daughter Rachel Anne's trip to Tanzania while a student at NIU several years ago that I became aware of this great program. 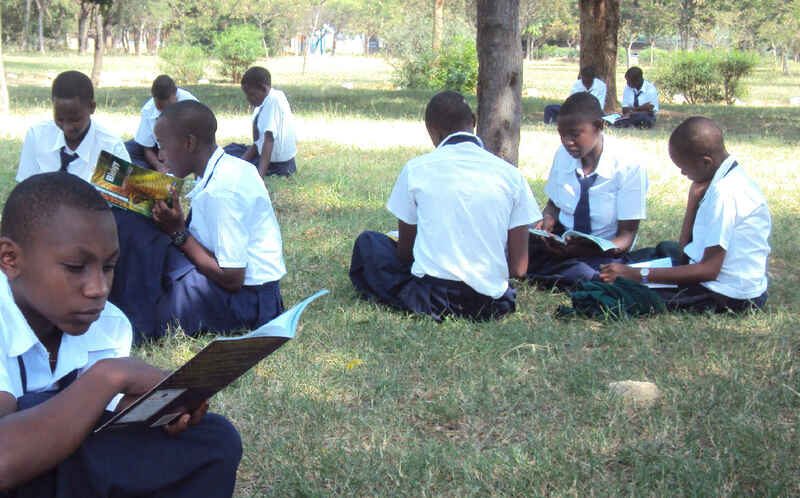 TDS contributes essential educational foundation for the youth of Tanzania.